He's the magazine's 15th editor. 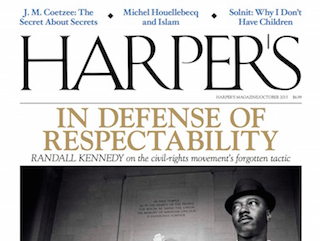 Chris Cox has been named the editor of Harper’s. Cox has been with the magazine since 2010, most recently serving as deputy editor. Prior to joining Harper’s, Cox was a senior editor with The Paris Review. Cox will succeed Ellen Rosenbush, who will continue to contribute to Harper’s as an editor at large. Cox’s appointment is effective Nov. 1.